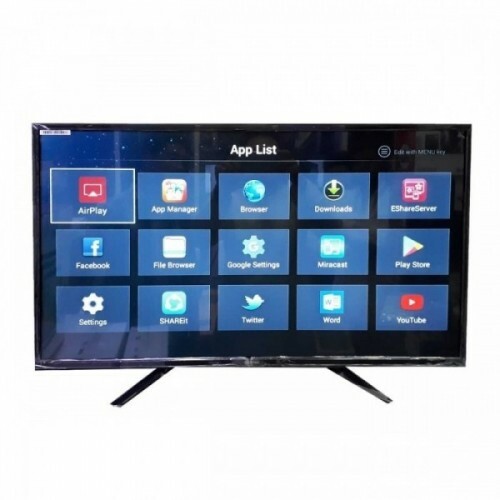 Sky View Full HD Smart TV has 70 inch Display Size, 180 degree Viewing Angle Wide Screen, 2GB of RAM, 8GB of ROM with Android KitKat 4.4.2. Its display type is 4k with Display Resolution 3480 x 2160. Its Brightness is 250cd/m2, Contrast Ratio (TCR/DCR) is 10000:1 and Response Time is 14ms. It has 1 VGA Port, 2 HDMI Ports and 2 USB Ports. It also has Wall Mount capability (75 x 75).